A superior quality shower shelf with a draining wired top shelf and towel hanging rail is a luxury shower accessory. 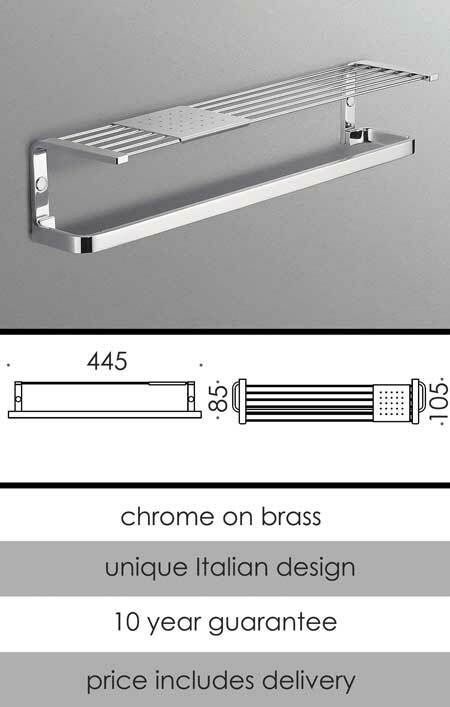 Part of a full Italian designed shower accessories collection that is supplied with a long 10 year guarantee because of its corrosion free brass construction with a tough chrome plated finish. L445 x D105 x H85mm. * Lovely quality shower accessories. * Price includes the delivery.